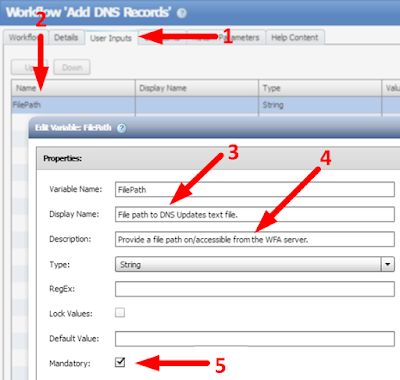 Note: The DNS cmdlets used in this post require the WFA server is on Windows 2012 or better. The awesome thing about OnCommand Workflow Automation is that, even though it is a NetApp product, you can use it to automate pretty much anything that has APIs exposed and a PowerShell/PERL way of utilizing those APIs. In this post, we use WFA to generate the DNS A and PTR records prior to the Cluster build (this is unlikely to be the job of the Storage Admin, still it’s nice to see how it could be done). Add-ADGroupMember -Identity "DnsAdmins" -Members "WFA"
Note: A lot of the script is simply checking the input. 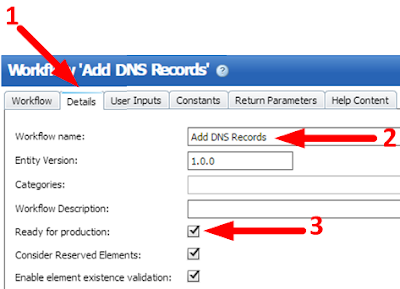 The action line is the Add-DnsServerResourceRecordA line (the cmdlet requires Server 2012+). Here’s an example. The script can handle tab delimited, or space delimited lines, or a mixture of tab and space delimited. The first line is always assumed to be a heading line. It will not process lines beginning with # or empty lines. Each valid input line should just have a hostname and an IP Address. Note: These represent, cluster management, node management, svm0 is a management LIF that will be used by an Active Directory authentication SVM (will have no data volumes, just used for the Domain Tunnel), and rep1 and rep2 for node intercluster LIFs (replication). 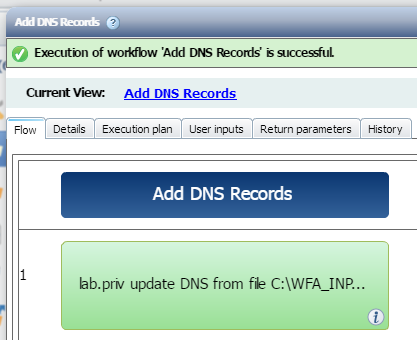 7.4.2: For DNS Domain, we’ll use a static entry “lab.priv” since only one DNS domain in lab corp.
7.4.4: For DnsServer, we again use a static entry “MSDMC01” for one of the DNS servers in lab corp. IMPORTANT NOTE: This workflow requires NetApp WFA Server service to run as LAB\WFA. 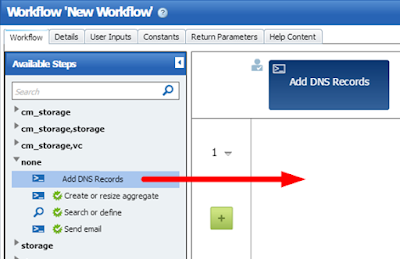 And - all being well - the workflow should run and the required DNS entries created. This is a fantastic blog, thank you for your magic posts. It will help me too much!!!! "Active Directory authentication SVM (will have no data volumes, just used for the Domain Tunnel)"
Another one of your online fans. 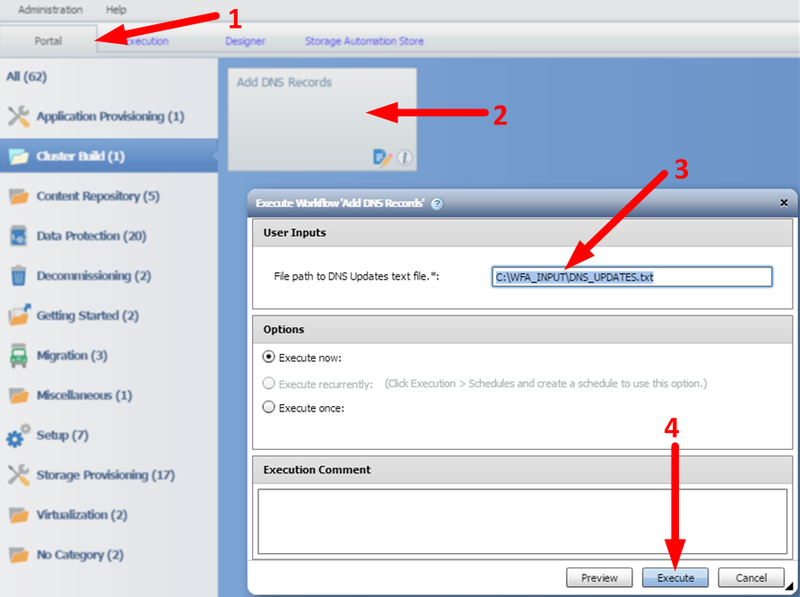 PS A "Day-0 c-mode cluster build setup" appeared on the WFA Automation Store on the 13th May.